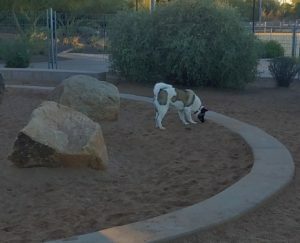 Luke Ruiz, from Scottsdale, AZ was at the dog park one day when he noticed a red nosed pitbull calmly listening to his owner after a Great Dane had been bothering him. Luke thought it was awesome how this pitbull stayed so calm even when he was being bombarded by this annoying dog, so he started talking with the owner. He quickly found out that the dog, Benny had gone through our Unlimited Program and was doing great with the commands his owner was working so well with him on. 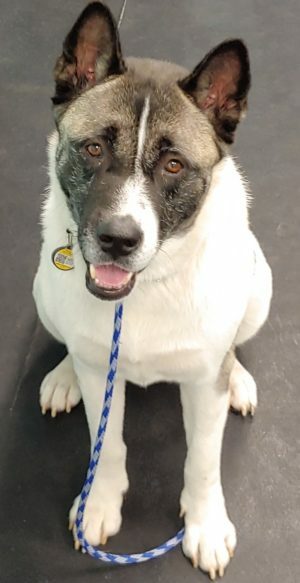 After getting our card, Luke called us to schedule a visit to talk about training for his Akita, Stormy. Luke knew that Stormy was a nice and well-mannered dog, but she didn’t listen very well and sometimes was a little rude to the other dogs in the dog park. Luke wanted help learning why she was doing these things as well as how to get her to listen better. 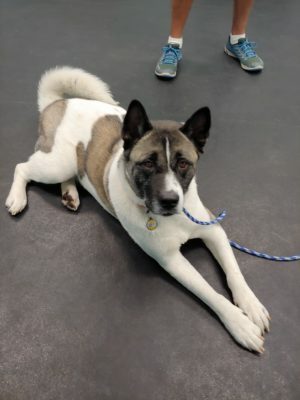 After calling, setting up a visit and sitting down with us, Luke signed up Stormy right away for our Unlimited Program because he had already felt that Kona’s Dog Training was the right fit for him. We scheduled regular lessons and helped Luke to get Stormy to walk nicely on leash, listen better to commands, especially “come” and helped him to understand why Stormy did many of the things she did. Luke asked questions, like “why does Stormy follow me around the house?”, “why does Stormy listen to me sometimes, but not all the time?” Luke learned a lot of things about dogs while training. 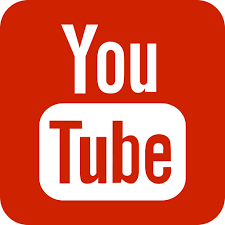 Like, often it doesn’t matter what you say, but how you say it and how he feels around Stormy and how to acknowledge those feelings when they aren’t the best. 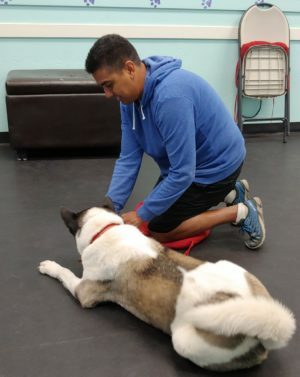 Luke, like many of our clients, learned a lot about himself just as much as he did about training with his dog. Luke tells us he couldn’t be happier about the training help he received with Stormy. He tells us often that he has so much more work to do on himself than with Stormy! Luke now finds that Stormy listens very well at home, out on walks and at the dog park, where he doesn’t have to worry about what might happen with other dogs. Luke and Stormy’s relationship has grown leaps and bounds since he first adopted her.